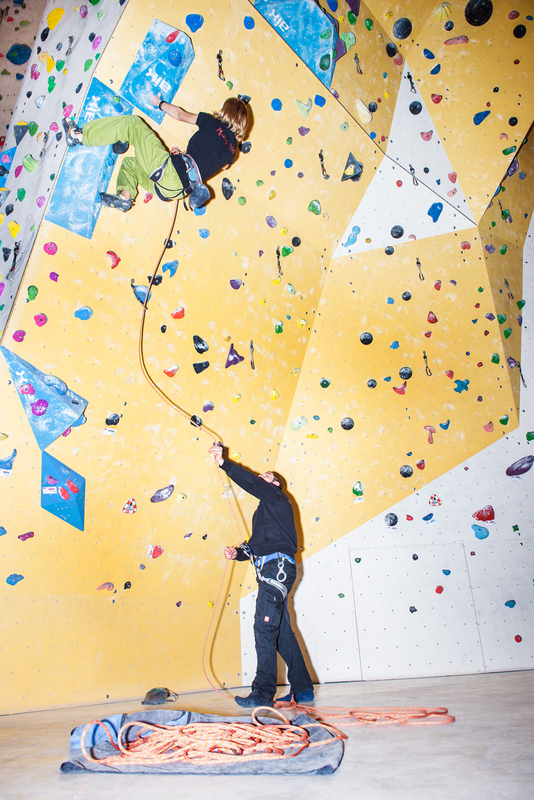 The indoor mountain awaits – luring even Swiss rock climbers to the Palatinate town Frankenthal. 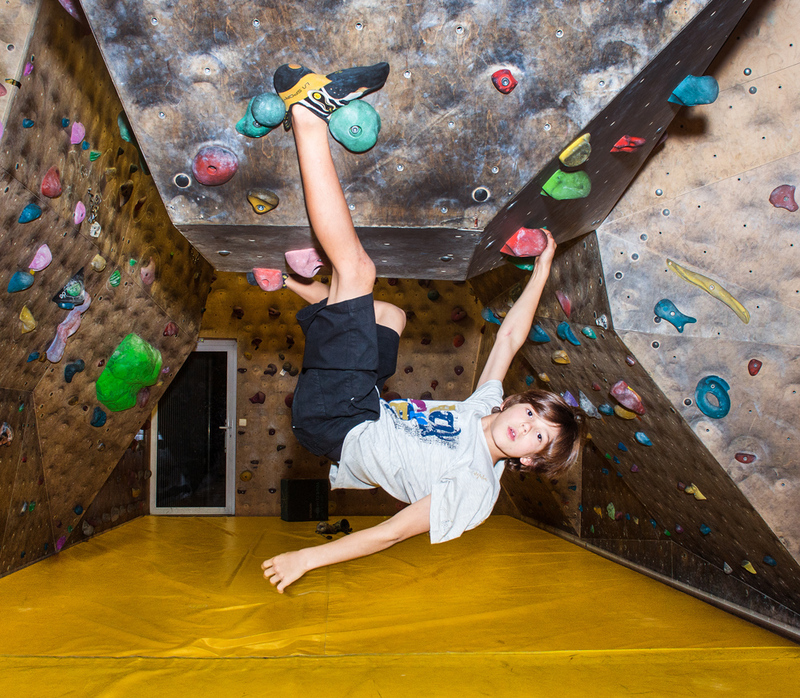 With its 130 routes ranging from easy to extreme, the indoor climbing centre “Pfalz Rock” (meaning “Palatinate rock”) is a vertical paradise bringing forth exceptional talents like the eleven-year-old Michel Siedler who climbs with the big ones at the top. 15 meters is damn high. Especially when the wall hangs over ferociously and the climbing holds are so small that only the tips of your fingers or toes can grip onto them. This poses no problem for Michel Siedler from the “Pfalz Rock” high-performance training group for kids. Astonishingly fast but with great ease, he climbs even the toughest routes while the grown-ups around him work their way up centimeter by centimeter huffing and puffing. The pupil from Mannheim comes here to Frankenthal six times a week to do his training. He so successfully overcomes gravity that his name is now being mentioned also outside the rock climbing scene. “I just like becoming better and better together with the others here,” he says modestly, but nonetheless was courageous enough to demonstrate his climbing skills in Kai Pflaume’s television show “Klein gegen Gross” (meaning “Little versus Big”) broadcast by the German TV corporation ARD. On this programme, he competed against his idol, the 26-year-old bouldering world champion Juliane Wurm – probably the best German competitive climber at present – and more than obviously won. No wonder that his father and coach is as pleased as Punch. 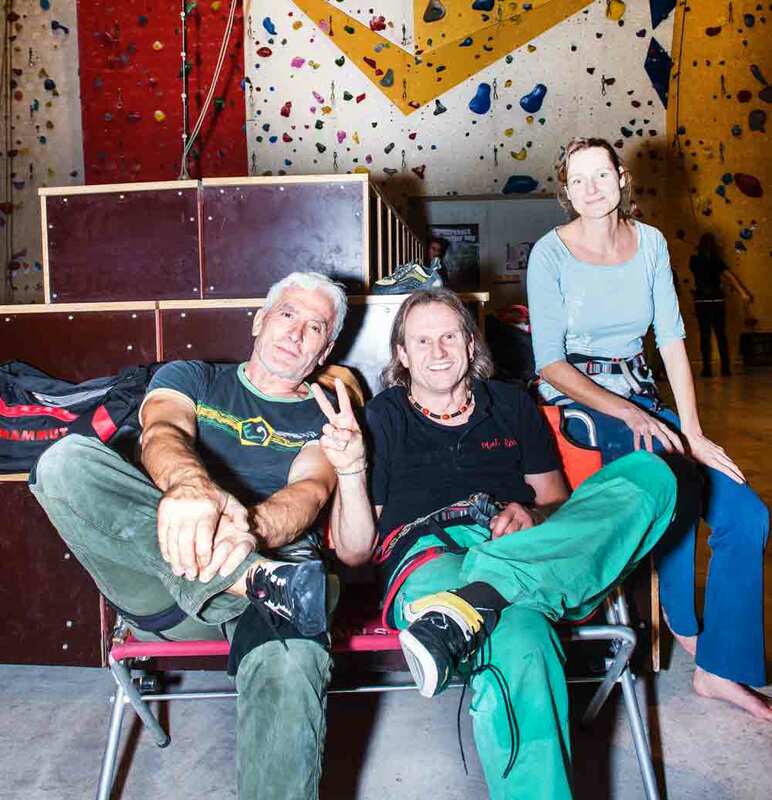 Kai Siedler has himself been climbing for three decades and can therefore assess his son’s performance very well. He himself started climbing at a time when pioneers like Wolfgang Güllich from Ludwigshafen or Reinhard Karl from Heidelberg – who was also the first German to reach the top of the Mount Everest in 1978 – revolutionised international sport climbing. In the 1980s, the exceptional climbing talent Güllich added a new athletic dimension to classical rock climbing. A targeted training approach suddenly made routes possible with a grading of up to E11, which the climber from Ludwigshafen cracked for the first time with the legendary route “action directe” in the Franconian Jura in 1991. 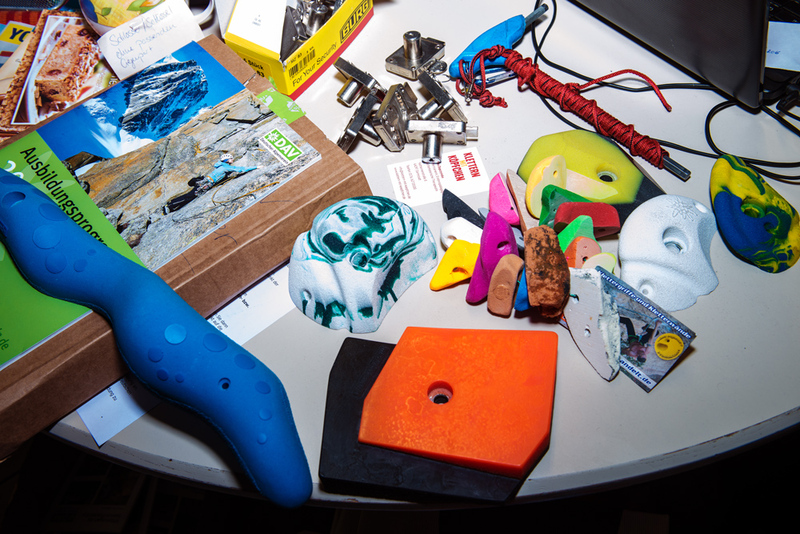 At the same time, sport climbing emerged into a lifestyle sport with a new ethical code: climbing gear like pitons or slings since then only serve the purpose of securing the rock climber. Today Kai Siedler can observe in astonishment how his son charges up the steep “Pfalz Rock” walls with more and more routine and speed. “The maximum for some adults here is Michel’s warm-up programme,” the physician says smiling. 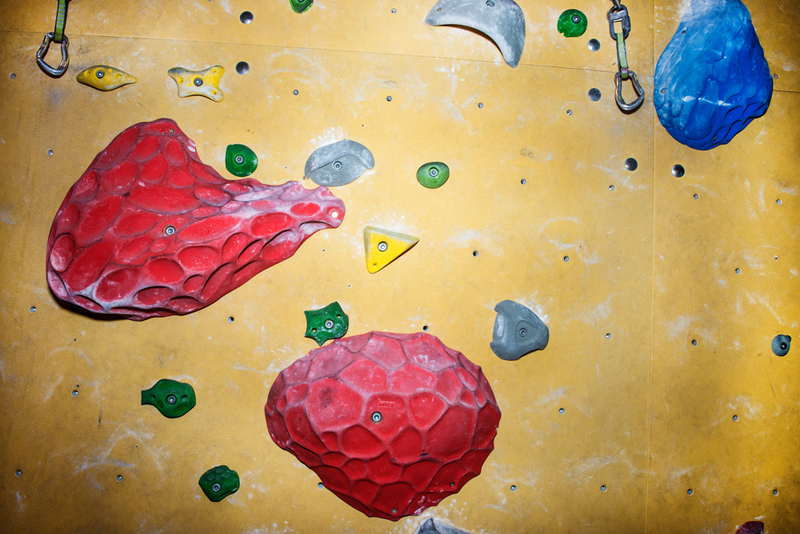 Anyway, smiling – there is a lot of climbing and smiling around here in the “Pfalz Rock“ centre. And a lot of backslapping..
Something turned out really well here in Frankenthal that other sports clubs can only dream of: whereas the local section of the German mountaineering club called “Deutscher Alpenverein” (DAV) had only 650 members left before the centre was built in 2005 – the average age being over 60 years – it now has more than 1500. And most of them are youngsters and young adults. 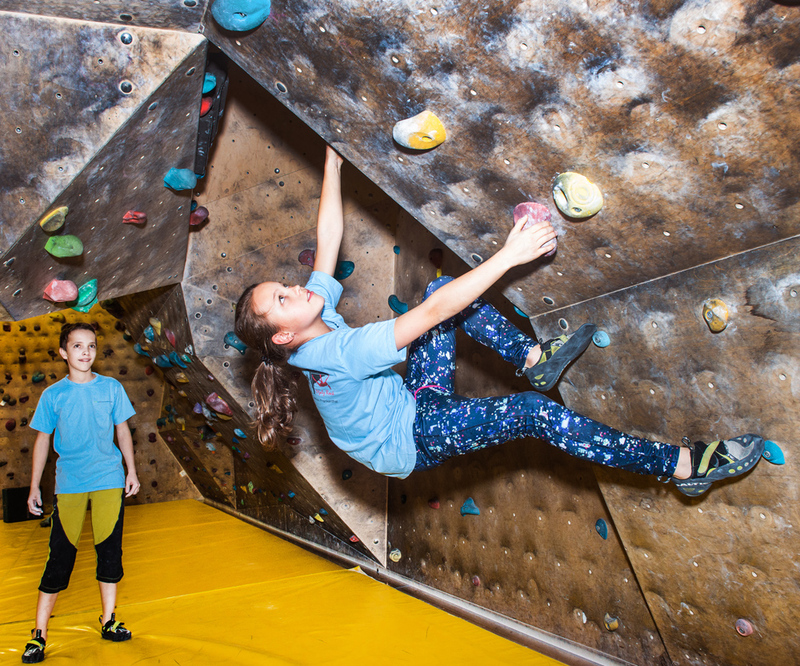 The average age of the section has decreased significantly, six youth groups of altogether 65 climbing kids come week after week to their vertical paradise for training. And the number of members is constantly growing – and it has been for years. 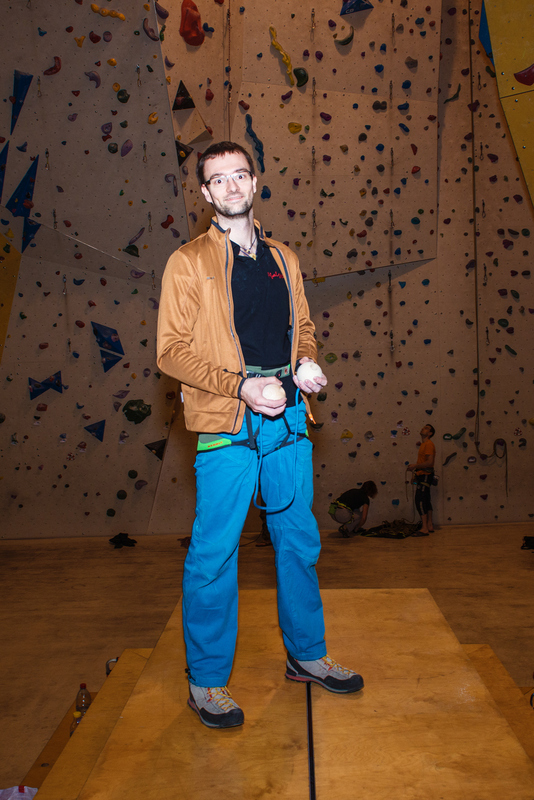 “Rock climbing is more than strength and dexterity,” 28-year-old Eric Rouven Seiler, head of “Pfalz Rock”, says knowingly. He virtually glows with enthusiasm for his sport and at the same time radiates something which you might expect from an excellent climbing instructor and route setter: professional calm. His concentrated work ensures that indoor operations function smoothly, routes are controlled regularly and that there is always a range of diverse climbing courses to choose from for adults, children and families. 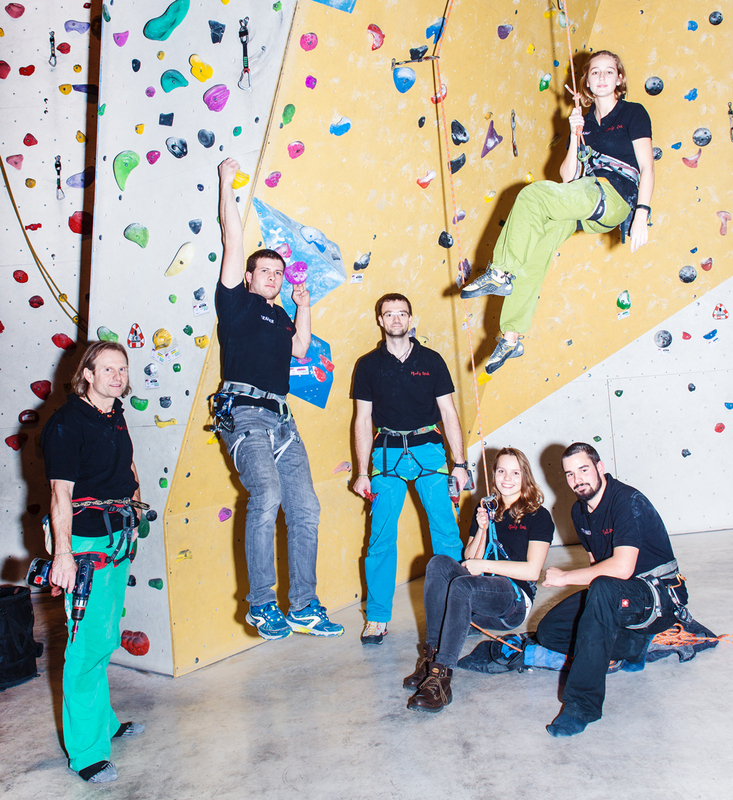 Under the instructors’ supervision climbers on the entry-level as well as fast climbers can learn rock climbing at “Pfalz Rock”. 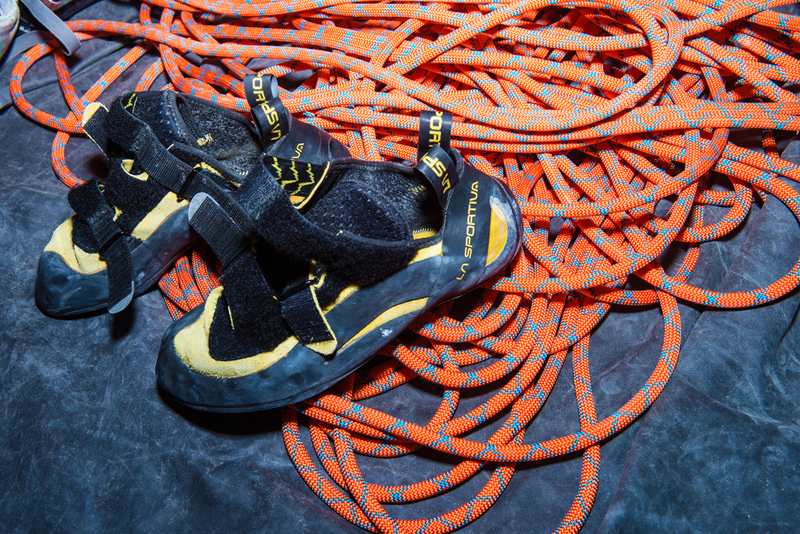 It starts with “top roping”, the safest and easiest way of climbing a route while being secured by an anchor system at the top through which the rope runs and a belayer standing at the bottom ensuring with a special belay device that the rope is safe. 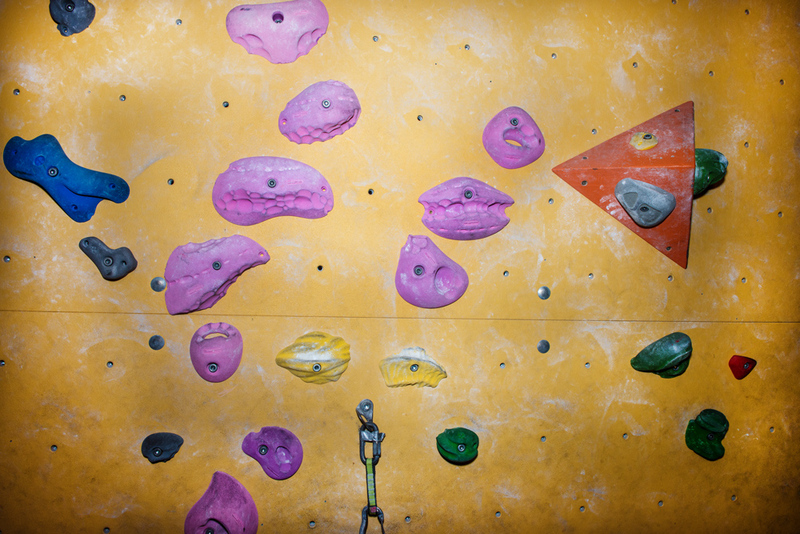 If you rather want to act out your fascination for rock climbing closer to the ground without a rope whatsoever, you can meet your ultimate challenge in Frankenthal in the 150 square-meters of the centre’s bouldering cave. Lead climbing” to the top. 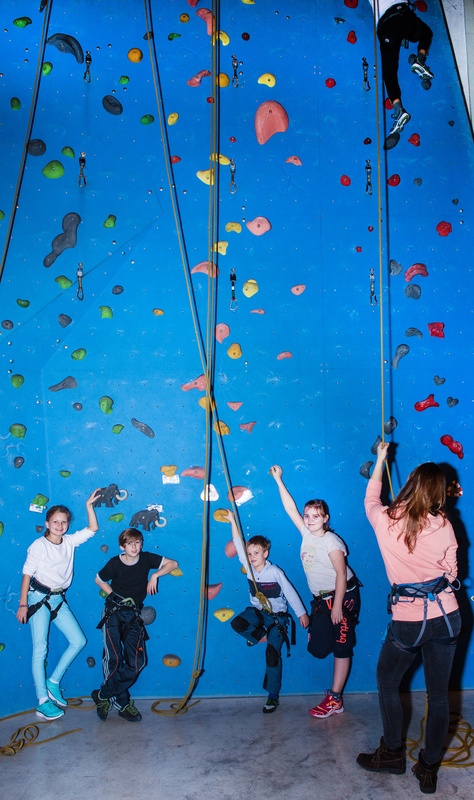 “Climbing benefits the team spirit as well as your confidence and endurance,” youth instructor Simone Tumele says, who in normal life works as a controller. “When you are climbing you don’t just do your own thing. In a rope team you help each other.” Mutual support is called for, too, when the head of “Pfalz Rock” Eric Rouven Seiler and his fellow “Rockers” again and again set new and varied climbing routes and screw an armada of artificial climbing holds into the colourful walls of the 1150 square-meter-sized hall. “Pfalz Rock” developed into a highly demanded training venue. A few months ago, the German national team came here to climb, and even the national rock climbers from Switzerland came to the Mörscher Straße to do some training. “Since the opening we held ten Rhineland-Palatinate championships, four West German championships and three German championships,” Hellmut Kerutt, first chairman of the DAV section in Frankenthal, explains. He is proud of the fruitful cooperation between the town, the Stadtwerke (the town’s public utility company), the state Rhineland-Palatinate and the DAV which made building and financing this DAV state training centre possible. Eric Rouven Seiler, head of “Pfalz Rock”, climbing instructor and route setter. And in this way you can rock the Palatinate region here every day, especially in the autumn and winter when the Southern Palatinate sandstone rocks are either too wet, too cold or simply too far away. “And for us this is a true oasis. An adventure playground,” is what you can hear at the “Pfalz Rock” centre by people who otherwise spend their days inside open-space offices. And if you are lucky you can watch exceptional talents like Micha Siedler bouldering and see that the development of climbing as a sport is being fostered in the Palatinate region once again.